Right plant, right place—that’s the gardening mantra. But when it comes to growing tomatoes, our area isn’t the right place. Heavy clay soil, pests, pathogens, heat, and humidity kill the enthusiasm of many would-be tomato growers. 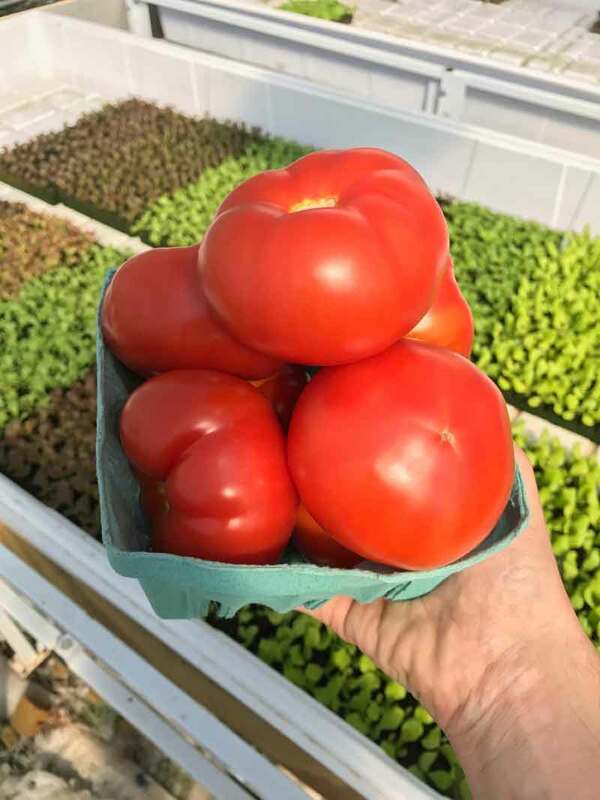 Plant breeders have given us lots of choices—hybrids, disease resistant, pest resistant, determinate container growers, heirlooms—all in an attempt to develop a tomato plant that fits this place. My garden is small. I have neither the room nor the time to plant lots of varieties in search of the right tomato. So I’m approaching this season differently and experimenting with growing techniques. I’ve been talking to people who make their living growing plants and realized that if I can change my assumptions about how to grow tomatoes this might just be the right place after all. 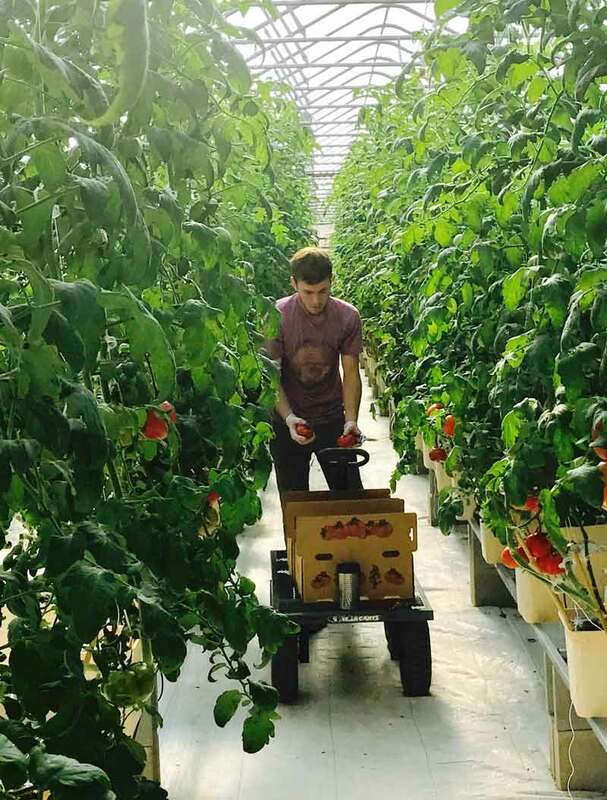 When Matt Spitzer of Endless Sun Farms explained how he gets a pound of tomatoes per vine each week, I listened closely. Explaining that tomato plants are at their most productive in temperatures between 70-85 degrees, he doesn’t bother growing them during the summer months. Instead, he produces two tomato crops: fall/winter and spring. Tomatoes need at least ten hours of daylight. However our long summer days typically have high temperatures, thereby shutting down fruit production. Just when the summer is winding down, Matt is gearing up for his fall/winter crop. Because he grows them in a hoop house, it’s not cost-effective to cool the space down for summer production—but supplemental heat and light can keep the plants thriving through most of the year. While growing in a greenhouse is not an option for me, I can “translate” some of Matt’s practices to my small garden. This season I made an early start on my tomatoes. Although our days have grown long, the temperatures still remain too cool. So I’ve set my tomatoes out in a protected spot and I’m keeping them covered. They’ve begun to bloom and I’ll either need to hand pollinate or uncover them during the day, enabling pollinators to visit their blooms. Later in the season I’m going to try keeping my plants from over heating by protecting them with shade cloth. The objective is to keep their growing temperature between 70-85 degrees. I don’t enjoy canning and preserving so I don’t want tomatoes that produce all at once. I grow indeterminate tomato varieties since they produce over a longer period of time. However, indeterminate varieties produce long vines and can take up a lot of space. Trying to better control the growing temperature meant I needed to move my plants to a protected location and that meant I had to grow tomatoes in containers this year. Successful container growing needs to address several criteria, including volume, air pruning, watering, and vine support. but manageable when they need to be relocated. Air Pruning: Container plants often become root bound with thick roots circling the interior of the pot. When plant roots encounter air they branch and grow in a different direction resulting in dense, fine roots that better take up moisture and nutrients. Containers that present an air barrier rather than a solid one facilitate better root development—fabric containers and liners encourage air pruning. make fruit more accessible and easier to harvest. This different approach to temperature, containers, watering, and trellising might just make my small garden the “right place” for tomatoes this year. You can discover more ways to grow tomatoes on our podcast, sponsored by Super-Sod. Featured image by Lise Jenkins.